Wisconsin Highways, Roads & Bridges – Finding a Long Term Funding Source. 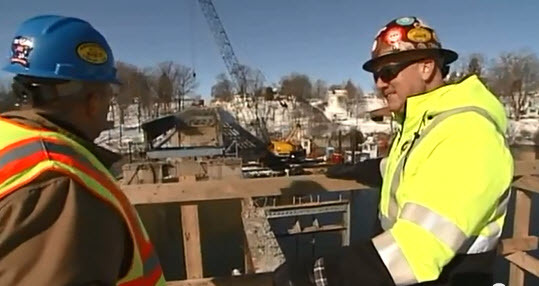 Check out this episode of Building Wisconsin TV to learn more as we catch up with Craig Thompson of the Transportation Development Assoc., Deirdre Garton from Quivey’s Grove Restaurant and Terry McGowan from the Wisconsin Operating Engineers. We also see the removal of the Hwy 96 bridge in Wrightstown.